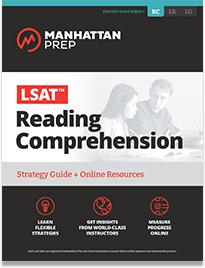 LSAT Reading Comprehension teaches you how to recognize the core argument and use it as a framework to organize the entire passage, improving your speed and clarity. To further improve your reading, it walks you through the annotation process, discussing where and how to take notes in order to maximize your comprehension efficiently. Students who want in-depth LSAT Reading Comprehension prep. 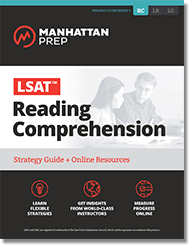 This guide covers all reading comprehension concepts tested on the LSAT. 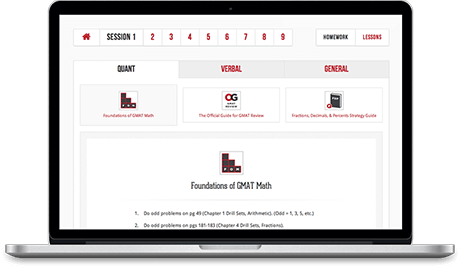 Practice LSAT Prep Test enables you to take a diagnostic test to see how you’ll stack up on the real exam. Class Recording allows you to watch the first session of a Manhattan LSAT 12-Session course.